For more information on construction industry pre-employment medicals, quote or booking please contact one of the clinics. What are the biggest health risk for construction workers? 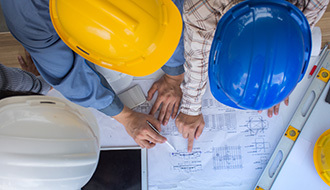 Major construction-related health risks are respiratory (dusts, asbestos, any inhalation of hazardous chemicals); skin exposure to chemicals, cement, or weather conditions; hearing loss due to noise; musculoskeletal disorders caused by physical overexertion or strain; hand-arm vibration syndrome (HAVS) caused by power tools. What can I expect during my medical? How can I arrange pre-employment medicals for our company? We would be very happy to provide this service. Please give us a call, or use our Contact Us page to schedule a meeting, so that we can tailor medicals specifically for your companys needs.